Mike was an enjoyable and quick read for me. 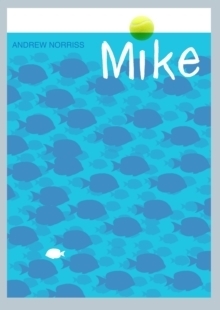 Mike is the story of a young tennis player who is destined for big things and his imaginary friend Mike. Except aren't you supposed to have grown out of imaginary friends by your teens. Over the course of the book this imaginary friend enables the author to discussed mental health and well being in a thoughtful way which I thought was really well done. A real enjoyable read which is well worth a look.